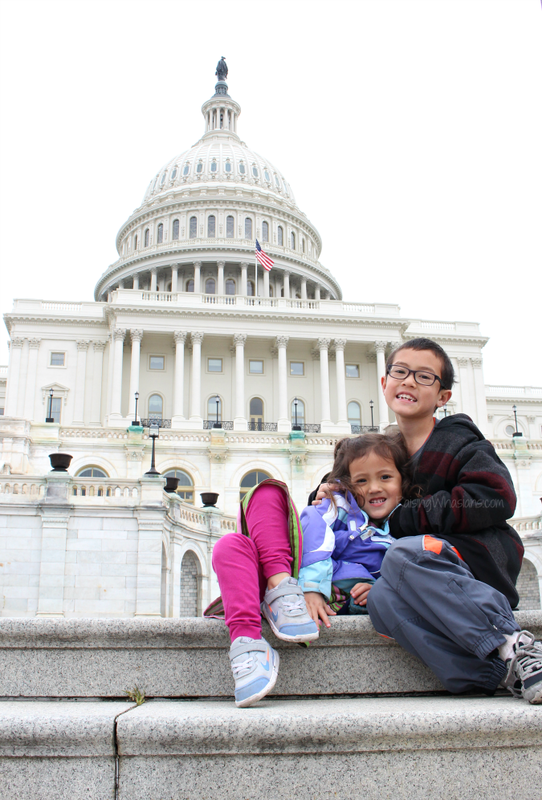 Heading to the nation’s capital with your family? Grab these 25+ FREE Things to Do in Washington DC for Families before your next travel adventure! This post is sponsored by Hercules Tires. All wanderlust opinions are my own. Washington D.C. has to be one of our favorite cities of all time. There’s so much to do, so much rich history to explore, and so many memories for our family to discover. I remember when my husband and I discussed taking our kids to our nation’s capital for our first family road trip. “They’re the perfect age,” I remember saying. Both potty-trained (HUGE win! ), both eager learners, both very active – we knew that trekking the 1,800+ miles in 8 days was going to be a trip of a lifetime for them. One of the best family vacations ever, today I’m sharing 25+ FREE Things to Do in Washington DC for Families – from exploration to hands-on learning to the best family tourist spots in the city! Start planning your own family vacation and find out how you can WIN a Picture-Perfect Getaway with Hercules Tires! We saw snow, rain, rocky terrain and steep climbs during our trip. And Hercules Tires allowed us to be safe on the road no matter what adventures came our way. And since our road trip? 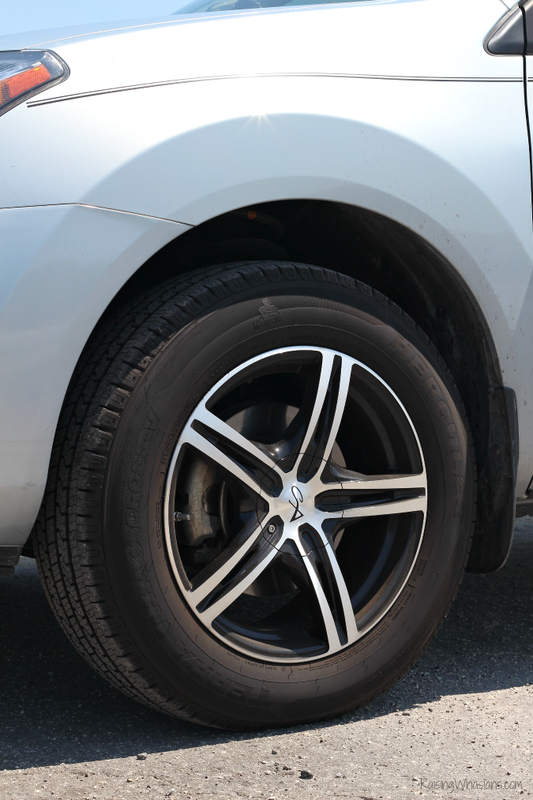 I have traveled thousands of miles on my Hercules Terra Trac Cross-V tires over the past few months – through Florida’s black ice conditions, scary thunderstorms and even the hottest summer days. Whether I’m running errands with the kids or visiting grandparents on the weekend, my SUV is in good hands. 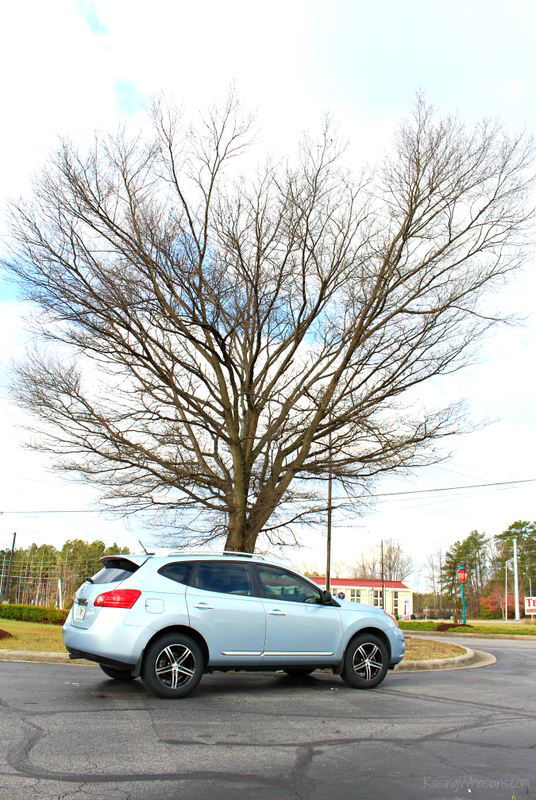 Smooth turns, tight handling and less bumps, this mom can feel a difference in our everyday drive. 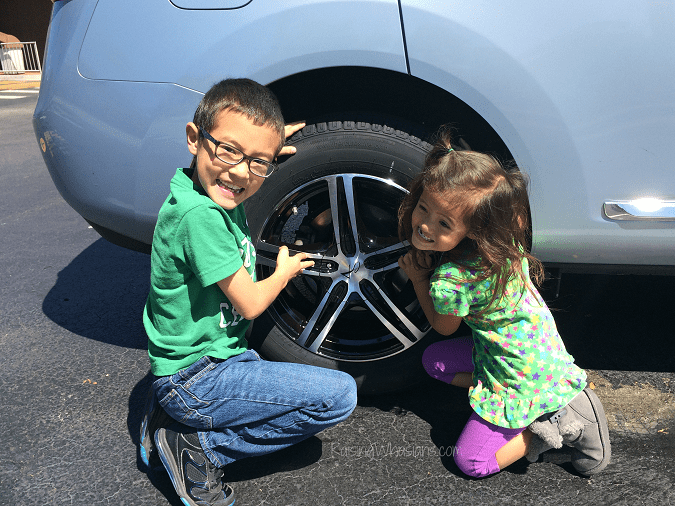 Hercules Tires give our family the quality tires we need at the family-friendly price we appreciate – all while keeping my family, my most precious cargo, safe at all times. National Museum of Natural History – Dinosaurs, Animals and Diamonds, oh my! My kids love everything to do with nature. So this must-see museum is crawling (get it, crawling?) with life-sized animals, dinosaur bones and natural rocks and stones all packed in one place – it’s their playground. National Museum of American History – When an American Flag gives you chills every single time…we could spend days in this Smithsonian. So many little gems of American History are tucked into the many floors of this museum. With tons of great hands-on learning for kids, we love walking here for hours upon hours. 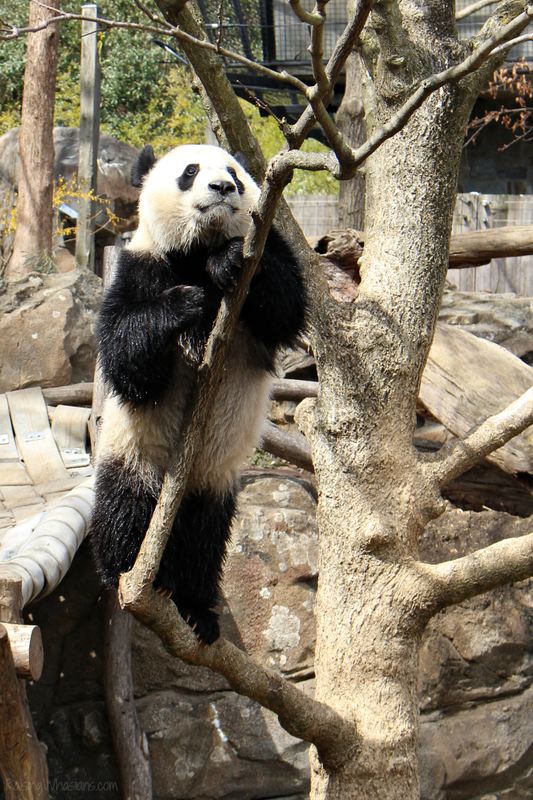 National Zoo – Panda bears. Enough said. One of the few places in the U.S. to see the adorableness that is a panda in-person, how can you not? 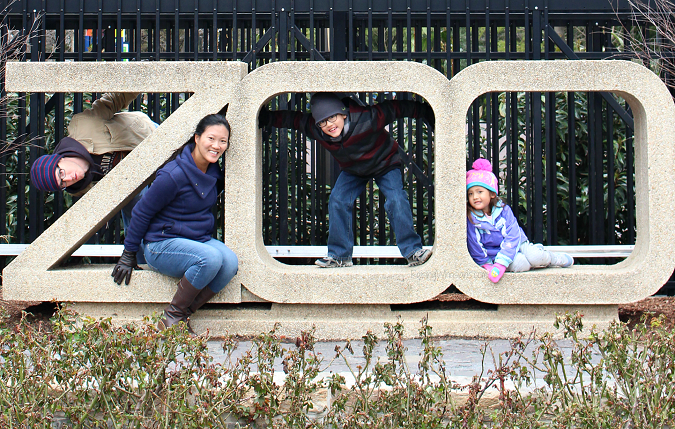 The National Zoo is one of our family’s favorite D.C. tourist spots – lots of rare and wonderful species to see. U.S. Botanical Garden – This is one of my personal favorite places to visit in D.C. This lush garden oasis features some of the most exotic and beautiful plant specimens in the U.S.A. Our family loved exploring room after room of lush flowers and greenery. Make sure to walk the second level for a unique bird’s eye view. 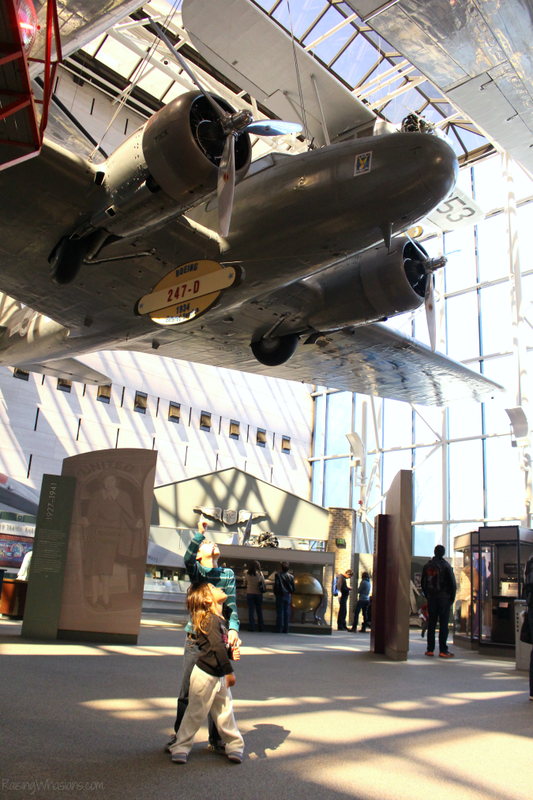 National Air & Space Museum – Spaceships and airplanes. Another museum that will bring out the little kid in all of us, this hands-on learning museum is filled to the brim with real machines that explore the skies. Arlington Cemetery – Pristine white crosses line this goosebumps-inducing place. Arlington Cemetery is a mixture of emotions for most families, but yet still an important D.C. icon to visit. The Changing of the Guard at the Tomb of the Unknown Soldier is a must-see. 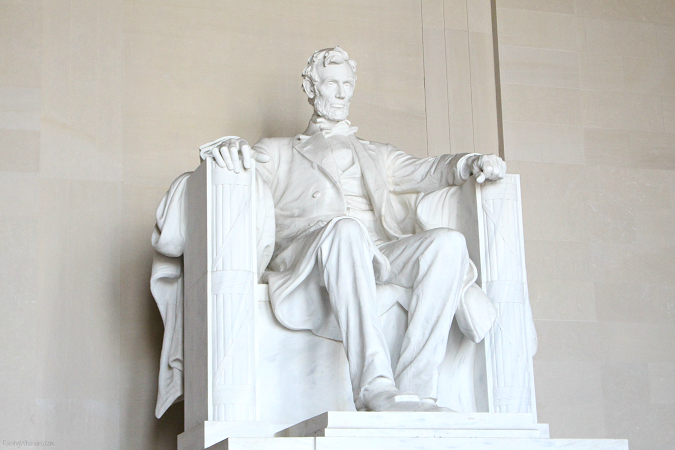 Lincoln Memorial – Standing at one of the mall is the Lincoln Memorial. A family favorite memorial, this marble staircase is also one of my favorite picture-taking spots. Grab a beautiful picture of the Washington Monument and the Reflection Pond at sunset and don’t forget to say hi to old Abe. National Museum of African American History & Culture – One of the newest Smithsonian museums in Washington D.C., just the architecture of the building itself is a masterpiece. But inside are important pieces of our country, all connected to African American history, culture and foundations. National Gallery of Art – While you may think the Gallery of Art only contains timeless portraits, majestic landscapes, restored artifacts, kids will also enjoy the modern art collections that include neon signs, rows of old televisions and unusual art materials. Definitely make a stop to see where historians are currently restoring art pieces as well. National Building Museum – Do you have little builders in the house? My 8-year old son loved to build, which is why the National Building Museum is the perfect place for him. The kids area features huge building blocks for them to make their own building creations! National Museum of the American Indian – By far, this was the most surprising museum of our family visit. Having never been inside of the National Museum of the American Indian, we were so impressed with the children’s area on the 3rd floor! 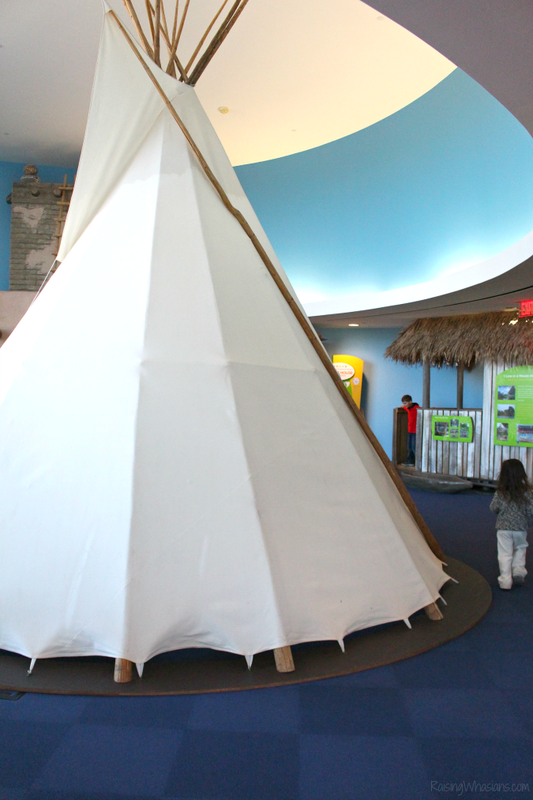 From live trivia to hands-on learning, to exploring a huge teepee and reading in the library, we could have easily spent an entire day in this section. Bureau of Engraving & Printing – Show me the money! Your kids will love watching how money is made at the Bureau of Engraving & Printing, along with a look at collections of rare coins and paper. 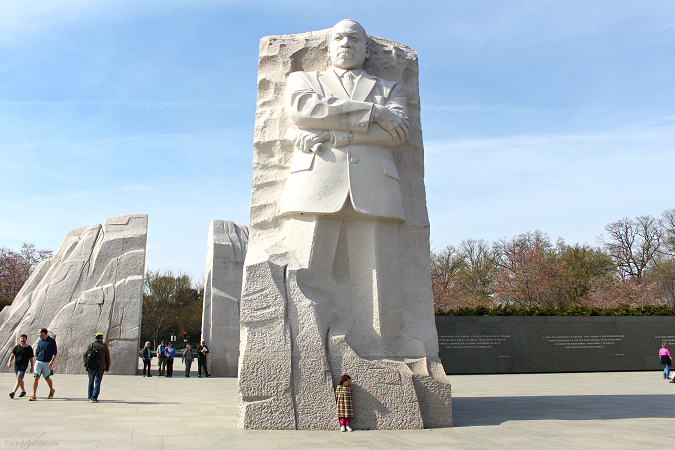 Martin Luther King Jr. Memorial – This was our first visit to one of D.C.’s newest Memorials. We absolutely loved it. The awestruck over the vast height of this memorial was a wonderful memory I will cherish of my kids. Definitely a hidden D.C. treasure. Iwo Jima – A definite hike from most of the usual D.C. stomping grounds, The Iwo Jima is a sight that shouldn’t be missed. Be sure to check out this statue at night, a must-see! 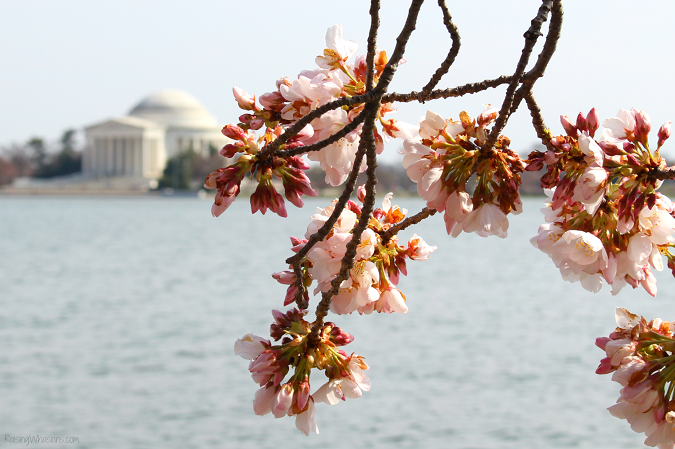 Tidal Basin – While most folks stay inside the National Mall area, a few adventure seekers will enjoy the Tidal Basin area. Overlooking the Jefferson Memorial and famous for the cherry blossom trees lining the way, I highly recommend visiting this area in the spring. Jefferson Memorial – Walk around the Tidal Basin and step inside this amazing Washington D.C. Memorial. One of the less visited spots, this memorial offers visitors a pristine view. U.S. Capital Building – You actually can get relatively close to the Capital Building, without having to set a foot inside. A beautiful piece of architecture, a family picture is a must! You can also schedule free Capital tours (I recommend contacting your State Representative or Senate months in advance). Be sure to check out the Capital dome ceiling! The White House – Wave hi to the President and their family at their home. The White House is iconic Washington D.C., and one of the most visited spots. Be sure to book a FREE White House Tour up to 3-months in advance. World War II Memorial – Staircases, water features and some amazing views. 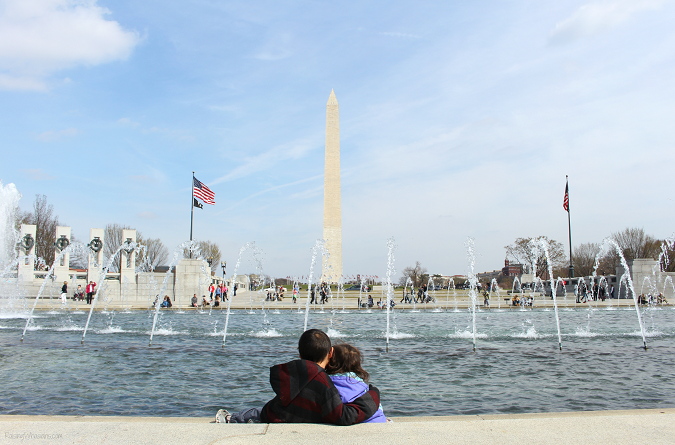 The World War II Memorial is one of my personal favorite memorials in D.C. My kids loved exploring every inch of this area, with plenty of breathtaking views. 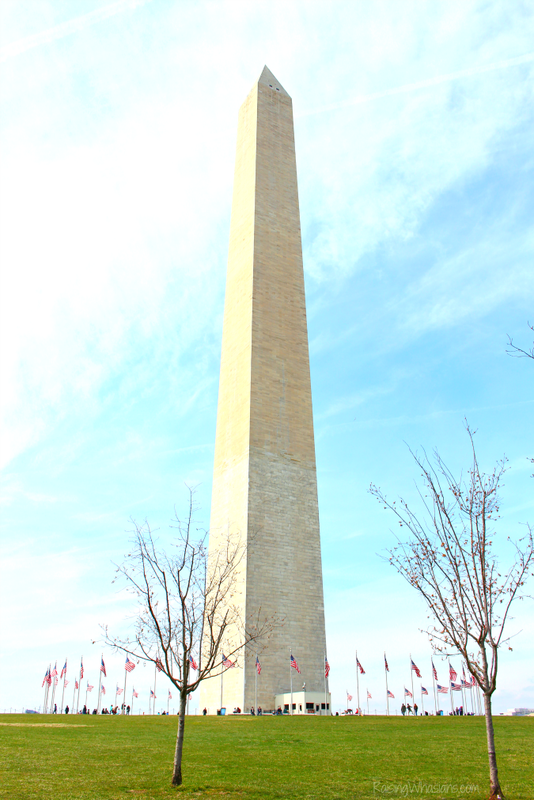 Washington Monument – Standing in the middle of the National Mall is tallest building in D.C. 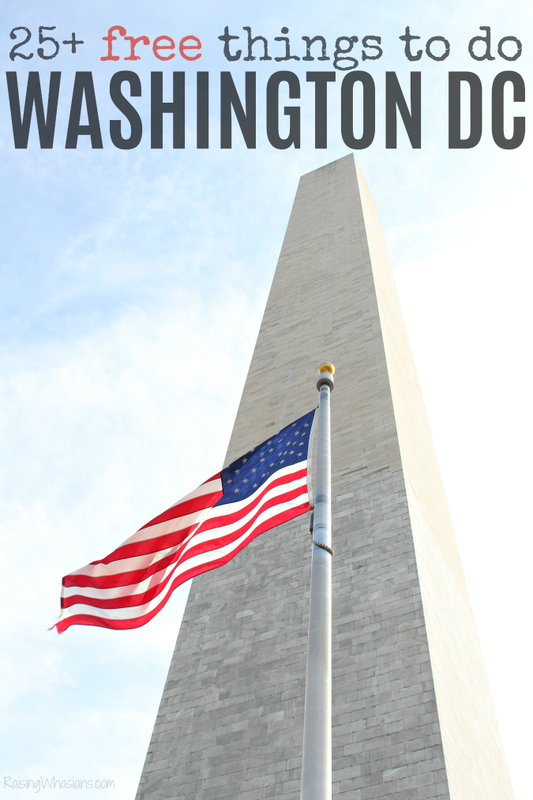 Standing tall at 555 feet, the Washington Monument is a definite family-must see. Ford’s Theatre – This national theatre is also the site of one of the most well-known presidents, Abraham Lincoln. Kids can get a firsthand visual tour at a piece of important American history. 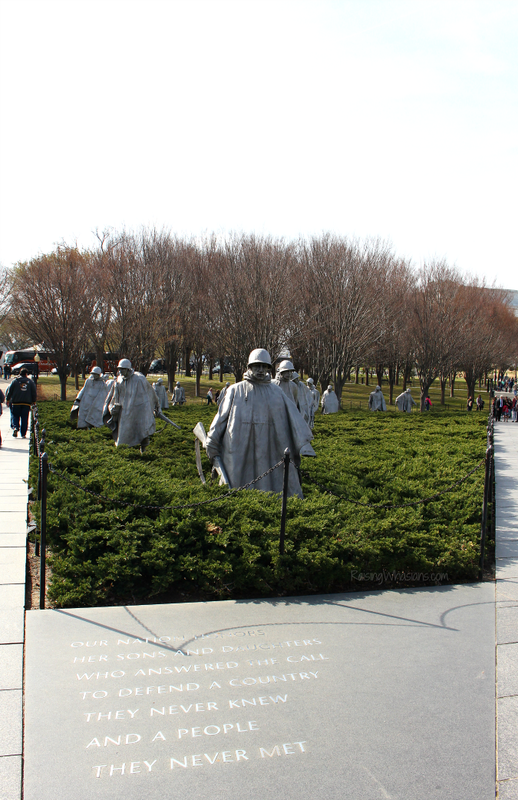 Korean War Memorial – Another memorial to visit at night, the soldiers of the Korean War Memorial stand watch over the area. Larger than they appear, my kids had an immediate response of reverence when we visited. Vietnam Veterans Memorial – A short walk away is the glassy wall of names at the Vietnam Veterans Memorial. Let the kids touch the etched letters, pick out the carved faces and look at the flowers, flags and notes left behind. Hirshhorn Museum & Sculpture Garden – Beautiful art outside – that was enough to convince us to explore. 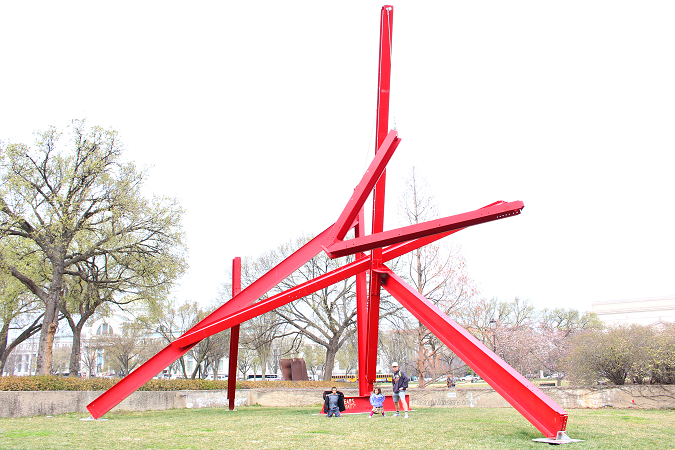 Let the kids explore gigantic sculptures in the Hirshhorn Museum & Sculpture Garden. John F. Kennedy Center for the Performing Arts – Catch a free concert at this amazing D.C. Performing Arts Center. A rare treasure, the unique view of D.C. from the balcony is breathtaking! Be sure to stroll along the Potomac River and see the crew teams practice. United States Holocaust Memorial Museum – Even the little ones seem to understand the stillness this museum exudes. Uneasy, yes. Important, absolutely. The United States Holocaust Memorial Museum is a hauntingly amazing place that every family should visit at least once. The shoe room gets me every time. Share Your Picture-Perfect Getaway & WIN! Other prizes include sets of Hercules Tires and other Hercules Tires merchandise. Enter to win the ultimate road trip getaway this summer by submitting your favorite picture-perfect memory at http://www.herculestire.com/sweepstakes#/gallery now through 7/16/17 for your chance to win. Be sure to check out all of the amazing wanderlust inspiring photo submissions while you’re there too #HerculesDestinationRecreation! Be sure to follow Hercules Tires on Facebook, Twitter, Instagram, Snapchat at @herculestires and YouTube for the latest tire offers, road trip tips, sweepstakes and more. Ready for your next family road trip? 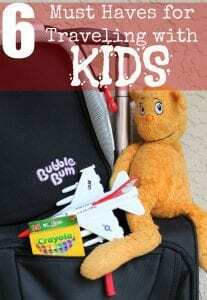 Be sure to grab your 25+ Free Things to Do in Washington DC for Families, this FREE Vehicle Safety Checklist and Hercules Tires to keep your family safe for all of your vacation adventures. We had such an amazing adventure traveling our nation’s capital. Can’t wait for our next road trip! What Would Be Your Picture-Perfect Getaway? 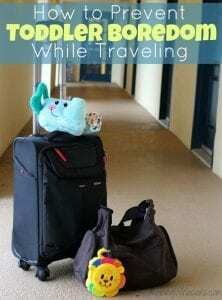 Be sure to follow Raising Whasians via Facebook, Twitter, Google, Instagram, Pinterest and YouTube for family travel tips, recipes, crafts and more. This is a great guide! I love DC. 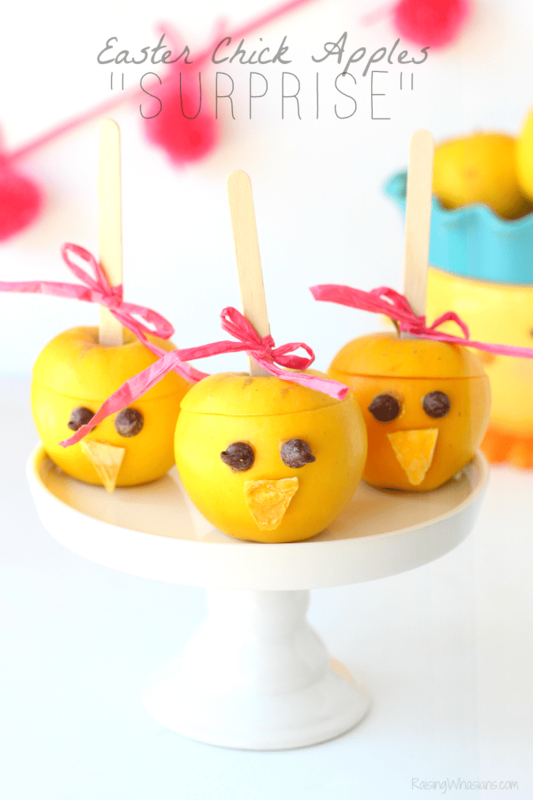 We’ve been there a few times with the kids, and it’s so much fun. There is so much culture and learning to be had. This is an excellent resource. 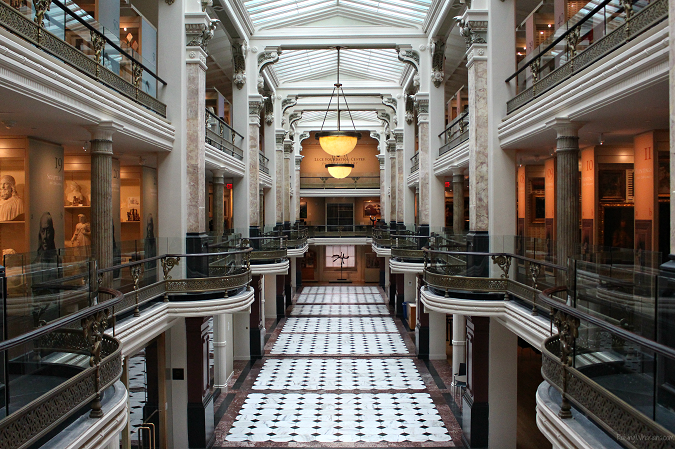 We’ve been to DC several times, and there are a lot more free things to do than people think. These are really good recommendations. 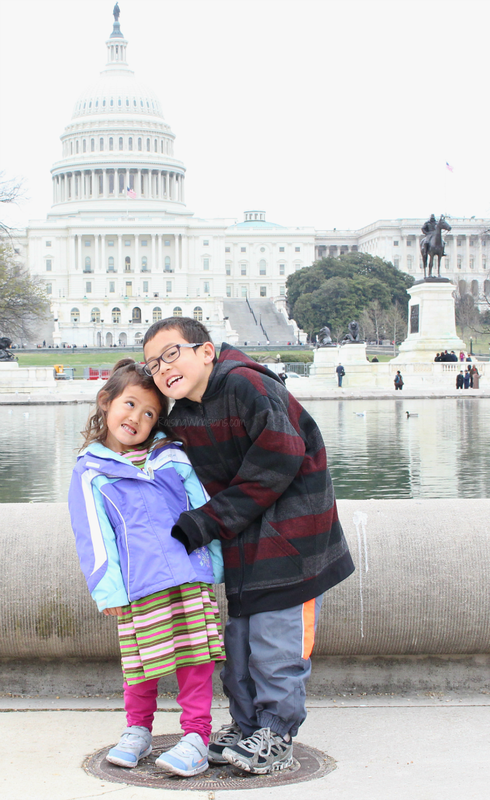 We loved visiting the museums when were were in D.C. and it would be nice to go back again! Yo u made Washington DC look so fun! I actually dreaded passing through this past weekend on my road trip. Major traffic here. Thanks for restoring my faith! I didn’t realize there were so many free things to do there. We are going to Washington DC next year for my daughter’s 8th grade field trip and I can’t wait to check out these attractions. I’ve never heard of that brand of tires before. They sound like a great brand! These also look like super fun spots to visit! I just love guides like this because I can plan activities for me and the family without worrying about the cost so much. I’m glad that you posted one for DC! I’ve been planning to go there for some time now. Why are your kids so cute! So many great things to do in DC I will keep this list in mind when I go! I have not been to D.C. in so long! The National Air & Space Museum is always a favorite place to see. This is a great list. We have never been to Washington so far but it’s on the bucket list! I’ve never thought of the free things that you can do in Washington DC! I think this is really nice especially since it’s also family friendly! My family loves D.C.!! We haven’t been there in several years – we definitely should plan to go back soon (and explore some of these on your list, too)! I have never been to Washington D.C. but sure would love to visit there someday. I’d like to take my grandsons to Washington D.C . one day. Sounds like lots to do!